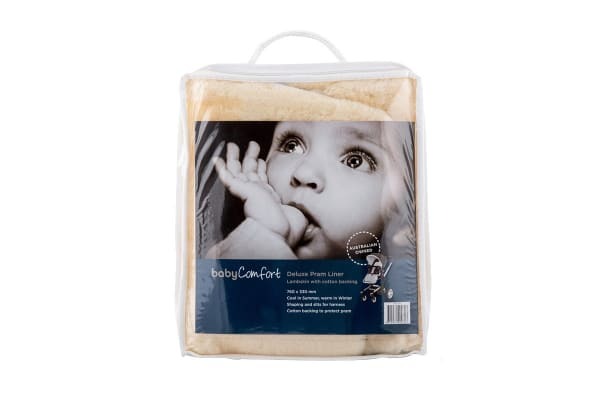 A layer of comfort for your baby. Designed for ease of use and practicality, the BabyComfort Lambskin Pram Liner is a must-have addition to your pram. Made of Australian Merino skin, the BabyComfort Lambskin Pram Liner provides a soft and comfy space for your little one – keeping them cool in summer and warm in winter. It is hand washable and protects your pram from mess and spills.